In testimony scheduled Thursday before the House of Representatives Intelligence Committee, Director of National Intelligence James Clapper will stress that counterterrorism to keep Americans safe is the focus of the intelligence community, according to one of those officials, who spoke on condition of anonymity to discuss matters of intelligence. Clapper is expected defend how the intelligence community tracked the revolts that have swept through two major American allies in the Arab world, toppling the leader of Tunisia and threatening the regime in Egypt, the officials said. For the past two years, Clapper's predecessor, retired Adm. Dennis Blair, faced the lawmakers alone. But Clapper has reverted to the previous practice of bringing other top agency chiefs with him. Sitting shoulder to shoulder with Clapper will be CIA Director Leon Panetta, National Counterterrorism Center Director Michael Leiter, the directors of the Defense Intelligence Agency and the National Security Agency. Clapper will revisit cyber terror, as well as stressing the threat of the proliferation of weapons of mass destruction, one official said. 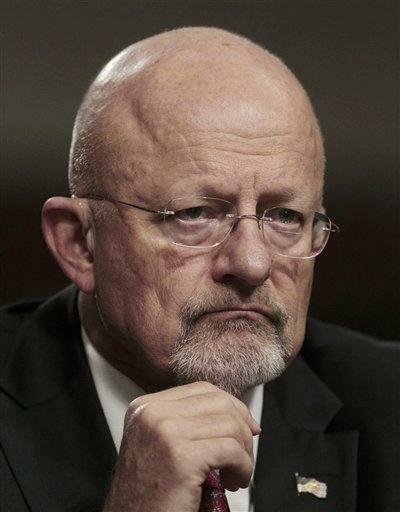 But Clapper will focus on the militant threat, just a day after Homeland Security Secretary Janet Napolitano told the House Homeland Security Committee that the terrorist threat to the United States is at its highest level since the attacks of Sept. 11, 2001. During the same hearing, Leiter said al-Qaida's offshoot in Yemen is "the most significant risk to the U.S. homeland." The threat assessment hearing is also the lawmakers' annual opportunity to put their most pressing questions to the top officials in a public setting. This year, the House Intelligence Committee gets the first crack at them, with the Senate going second. House Intelligence Committee members are expected to ask whether the intelligence community fumbled its analysis of the revolts in Egypt and Tunisia. The lawmakers received a classified briefing Tuesday on Egypt and other "Middle East hotspots," said a U.S. official who spoke on condition of anonymity to discuss matters of intelligence. The chairwoman of the Senate Intelligence Committee, Democrat Dianne Feinstein, on Tuesday called the Egyptian and Tunisian revolts a "wake-up" for the intelligence community in an interview on MSNBC. The hearing will also be a chance for the new House Intelligence Committee chairman, Republican Mike Rogers, to lay out his own priorities. Rogers and the top Democrat, Rep. Dutch Ruppersberger, have said they'll work to tighten oversight of the intelligence community under their watch. On Wednesday, the offices of Rogers and Ruppersberger announced their committee had voted unanimously to allow a handful of House appropriations committee members and staff to attend classified briefings and hearings to have them better informed about the programs they're voting to fund.